September 5 , by Stacie Hooder. 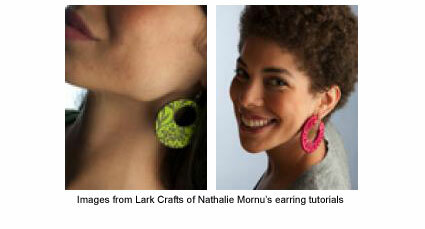 Kathy at Lark Crafts has posted a wonderful interview with Nathalie Mornu. Lark Crafts’ bonus content page features two free projects from Nathalie’s recently published book Leather Jewelry: 30 Contemporary Projects. Head over to Lark Crafts and hear what Nathalie has to say and get the free project instructions for her leather earrings.